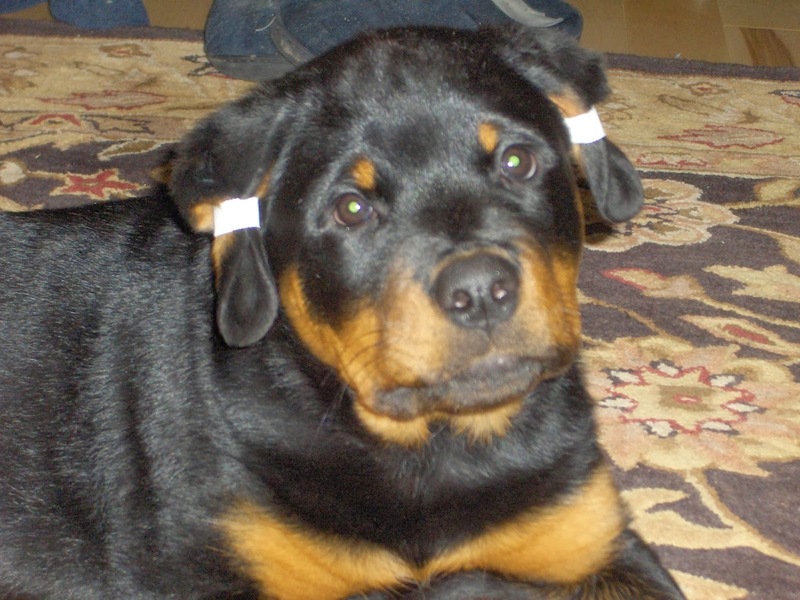 WHY DO PEOPLE TAP ROTTWEILER EARS ? Rottweiler ears are correctly carried if they lay close to the head. Some Rottweiler ears are either set or carried incorrectly and it distracts from the appearance of a strong, broad head, if so you must interven by taping the ears overwise they may remain that way. Taping will not effect how high the ears are set but will help to greatly improve how the ears are carried. Ear taping is simple, non invasive, and only has to stay on for a couple of days.